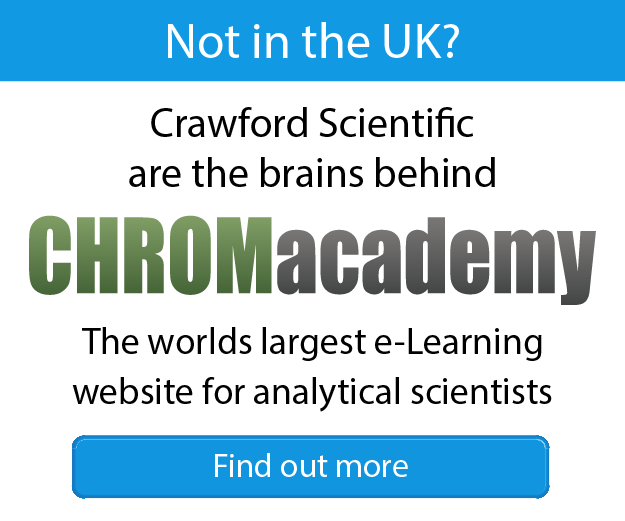 This course is not only designed to bolster your theoretical understanding of LC-MS as a technique, but to give you the practical skills needed to gain maximum benefit from your LC-MS, LC-MS/MS or LC-MSn detector. The subject theory is practically reinforced through a range of specifically designed experiments that highlight the capabilities and limitations of mass analysers including singe quadrupole, triple or tandem quadrupole and ion trap Instruments using a range of samples. Both theoretical and practical time is devoted to ensuring that LC methods and interface parameters are sufficiently optimised to achieve the greatest benefit from your mass spectrometric detector. Run at our laboratory facilities or in your own laboratory, these hands-on courses are designed to introduce both theory and practical concepts of instrumental analysis. Modern equipment is used in conjunction with interactive teaching techniques and well established practical exercises to ensure maximum return on your training investment. These courses are invaluable for anyone wishing to have the most comprehensive grounding in instrumental analysis techniques or those wishing to increase their knowledge and practical ability with our advanced training programs. Some experience of operating LC-MS equipment and analysing LC-MS data is beneficial in order to fully participate in this course.